Women in agriculture inspire me. They challenge me. They are my heritage—and my future. Five generations ago, my family set roots in North Dakota agriculture. Today, I’m living and loving that legacy, as well as cultivating the sixth generation. Through the years, agriculture has taken me far from the North Dakota prairie. I’ve had the opportunity to meet a variety of farmers, ranchers and individuals who support the industry. They are the backbone of our food production system. They each have a voice, a story and principles that guide and fuel their passion for agriculture. In November 2013, I accepted my friend’s 30 Days challenge and decided to feature one woman in agriculture every day for 30 days on my blog. Little did I know the curveballs that would be thrown my way during the month. There once was a time when I blogged every single day. That was a couple years or more ago. Despite the daunting structure, I accepted the challenge. The first week in, I lost an early pregnancy that required emergency surgery. I kept blogging, but it was a struggle—a really big struggle. I tried to keep going, but I hit an emotional wall. I made it through the 30-day blogging challenge but still had dozens of women I wanted to feature. I prayed. I waited. Finally, I came to the conclusion I needed to focus on my own story before I could properly introduce more women in agriculture. It has always been my intention to continue my women in agriculture blog series. Guess what? It’s November again. I’m thrilled to pick up where I left off a year ago and feature 30 more fabulous women in agriculture. They hail from all across North America. Each plays a different role in an industry they love … and I love … and I hope you will grow to love. I could showcase a woman in agriculture 365 days a year. However, I’m slowly going to get through my list in no particular order one fabulous woman and her story at a time. I’ll do my best to connect you to women who make me proud—to the farmers and the faces behind an industry you might not know much about. This year, I also have five surprises in store for you. You’ll have to follow along because I’m not going to reveal when the surprises will surface (That wouldn’t make them surprises, right?) I will tell you the surprises include something you might like for yourself or a jumpstart on Christmas shopping. 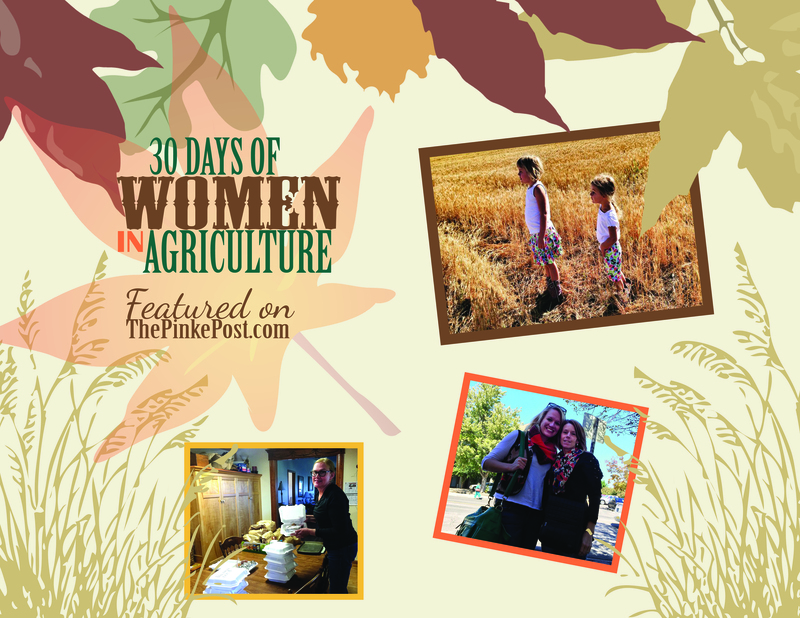 Welcome to the 2014 edition of 30 days of women in agriculture. 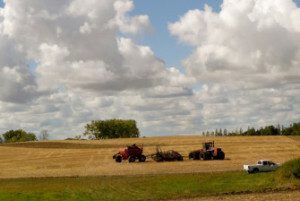 Follow along with my friend Holly Spangler’s Prairie Farmer blog to connect with other bloggers showcasing an array of 30 Day features. This is an amazing idea! I can’t wait to keep up!